The team at West Oak celebrate their ‘OUTSTANDING’ award with Pete Calverley, CEO of Barchester Healthcare. 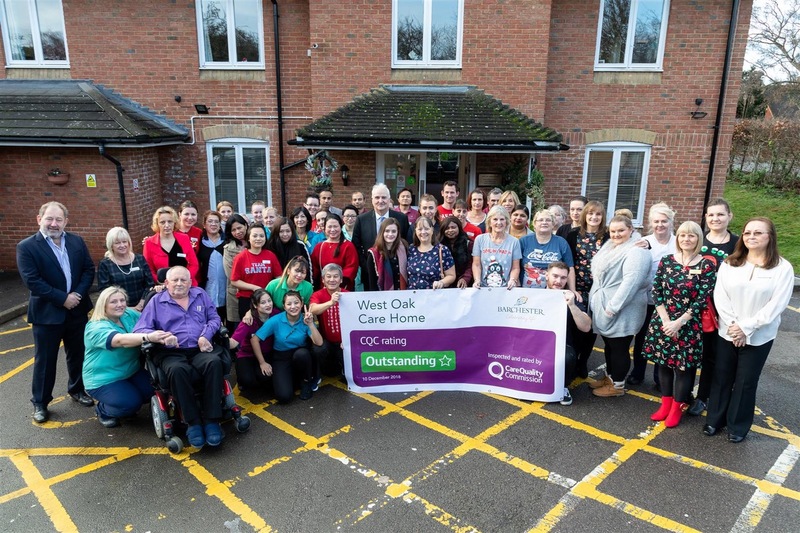 The CQC inspected the home, unannounced, on 30th and 31st October 2018 (the report was released on 7th December 2018) and rated the home as ‘Outstanding” in two key assessment areas (‘Responsive’ & ‘Well-Led’) and ‘Good’ in three (‘Safe’, ‘Effective’ & ‘Caring’). In celebration of the rating, CEO of Barchester Healthcare Dr Pete Calveley visited the home to thank each member of the team personally, and presented each one with a £500 gift voucher in appreciation, just in time for Christmas.